“Are there Chia seeds in this?”, My Time as a Healtheries Super Sampler. The answer to this question for most of April has been a resounding – YES! At the beginning of my time as a Healtheries Super Sampler I mentioned that I wanted to experiment with Chia being an addition to our diet and I would not use it in new recipes. I stuck to this and we had chia in many a breakfast, baking, snuck into dinners and even as a beauty treatment. I have been pleasantly surprised by both the Healtheries Ground Chia and Healtheries Black Chia Seeds. It has been enjoyable to use chia and hide it knowing that I have added more nutrition to our everyday foods. Chia will continue to be a staple item in my cupboard and I am going to buy some s White Chia Seeds. Thank you Healtheries for choosing me as a Super Sampler. Here is a round-up of ways I have used Healtheries Chia seeds. Lemon Loaf with Healtheries Black Chia Seeds. Granola Using Healtheries Black Chia Seeds. Blueberry Pancakes with Healtheries Black Chia Seeds. Healtheries Ground Chia as a Binder. Ground Chia, oat, blueberry and orange muffin. Healtheries Ground Chia, Oat, Blueberry and Orange Muffin. Can’t believe I posted this. Healtheries Ground Chia and Coconut Oil Face Mask. Overnight Waffles With Healtheries Black Chia Seeds. Don’t be scared of chia, buy it, learn to use it and get brave. Add it to everything to get that added boost of nutrition. Enjoy. I have once recipe for overnight waffles blogged already, that recipe is good but this one is better. With this one there is no mixing to do just before cooking and they have that lovely yeasty taste. I made these in the morning and we had them for tea with lots of fruit in the evening. The overnight part isn’t a rule, just a guideline. I would make sure they have around 5 hours to stand. If you are worried leave them out on the side for the first hour and then pop them in the fridge until you are ready to cook. The original recipe is from Foodess.com and uses butter. I have decided to be even lazier and use canola oil. The mix is rather runny but they cook to form a nice risen waffle and are a rather lovely golden colour. Last night I cooked half the batter without the Healtheries Black Chia Seeds, I added around 2 tbsp to the remaining batter. We did a taste test and agreed that it is worth adding a little goodness. The chia does change the texture and adds what is best described as, a nutty hint. There are seeds in there, honest. Healtheries Ground Chia And Coconut Oil On The Face , Yes, Food On The Face! As I have been searching around the internet for ideas with Chia in its various forms I have noticed a few recipes for face masks. At the moment my skin is really dry and no amount of water drinking is helping and I find it hard to find any products that help with being allergic or having a phobia about spending huge amounts of money on a face cream. I figured I have nothing to lose trying using ground chia, or rather, the worst thing that could happen would be spots. As I searched the web I found there were a few blogs that were rather interesting on the subject of chia and its use in beauty regime. 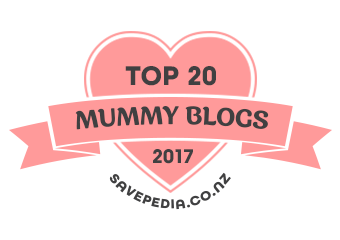 One particular blog gives all sorts of information on chia in general, have a good read of Beautymunsta and you will see what I mean. What a versatile thing chia is! When I set out I wanted to make a mask, I ended up with something more like an exfoliant and that is how I used it. As you can see from my beautiful photograph it was rather on the runny side. It made a damn good exfoliant and I used in on my face, hands and feet. I would certainly make this up again and use it in this manner. My skin feels cleansed (in a gentle way) and soft. Yes, another pancake recipe and yes, more chia seeds. These chia seeds are so very easy to use and I am really enjoying adding them to everyday things to bump up the nutrition. Have a google, figure out some ways to use them yourself and have a read about the power they pack.I even added 2 teaspoons of ground chia to bind our meatballs for tonight dinner, I still haven’t told the family. They did know that our Sunday breakfast pancakes had Healtheries Black Chia Seeds in the mix. The pancakes were declared very good and the basic recipe is one I have been tweaking and working on. It was a good batter and made excellent pancakes. I will be using the recipe again and may even up the Chia to 1 1/2 tablespoons. The seeds aren’t very visible in the photos they all seemed to be inside the pancake. I really like the little crunch the black chia seeds add to this basic pancake recipe. Granola using Healtheries Black Chia Seeds – rather impressed. I feel rather old saying this, I love a bowl of granola with some fancy yoghurt for breakfast at the weekend. So does Mr Muffin, I never thought I would say that. We generally have a seedy one and on looking at the ingredients I noticed it too contained black chia seeds. This got me thinking on using my Healtheries Black Chia Seeds and I investigated various recipes and created a granola suitable for us. I didn’t even have to buy anything to add to it, that made me happy. It was my first attempt at granola and next time I will make an effort to have bigger clumps by stirring it a little less. I may add a little dried fruit while the granola cools, dried cherries would be good. The Healtheries Black Chia Seeds add a nice crunch and texture. These little seeds are certainly finding their way onto my shopping list. Healtheries sent me the Chia as I am one of their Super Samplers. Tip onto the baking tray and spread out, leave some bits clumped together if you want lumps. Leave to cool in tin before tipping into an air tight tin, will keep for up to 2 weeks. * you can add the nuts after cooking if you want them to remain raw.